Bright White Clearcoat 2018 Jeep Wrangler Unlimited Sport 4WD 6-Speed Manual 3.6L 6-Cylinder If you would like to inquire about this vehicle, please contact us at 602-249-1234 or toll free at 800-528-0665. You can also text/chat us by texting LUKE to 45555! (message and date rate may apply) See dealer for details or visit www.BillLuke.com to Experience the Bill Luke Difference for yourself! Black Clearcoat 2018 Jeep Wrangler Unlimited Sport 4WD 8-Speed Automatic 3.6L 6-Cylinder If you would like to inquire about this vehicle, please contact us at 602-249-1234 or toll-free at 800-528-0665. See dealer for details or visit www.BillLuke.com to Experience the Bill Luke Difference for yourself! Billet Silver Metallic 2018 Jeep Wrangler Sport 4WD 8-Speed Automatic 2.0L I4 DOHC If you would like to inquire about this vehicle, please contact us at 602-249-1234 or toll free at 800-528-0665. You can also text/chat us by texting LUKE to 45555! 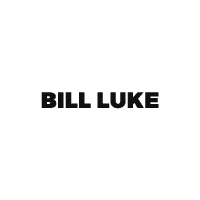 (message and date rate may apply) See dealer for details or visit www.BillLuke.com to Experience the Bill Luke Difference for yourself! Crystal Metallic 2018 Jeep Wrangler Unlimited Sport 4WD 8-Speed Automatic 2.0L 4-Cylinder Turbocharged If you would like to inquire about this vehicle, please contact us at 602-249-1234 or toll free at 800-528-0665. You can also text/chat us by texting LUKE to 45555! (message and date rate may apply) See dealer for details or visit www.BillLuke.com to Experience the Bill Luke Difference for yourself! Bright White Clearcoat 2018 Jeep Wrangler Unlimited Sport 4WD 8-Speed Automatic 2.0L 4-Cylinder Turbocharged If you would like to inquire about this vehicle, please contact us at 602-249-1234 or toll free at 800-528-0665. See dealer for details or visit www.BillLuke.com to Experience the Bill Luke Difference for yourself! Billet Silver Metallic 2018 Jeep Wrangler Unlimited Sport S 4WD 8-Speed Automatic 3.6L 6-Cylinder ABS brakes, Compass, Electronic Stability Control, Low tire pressure warning, Traction control. If you would like to inquire about this vehicle, please contact us at 602-249-1234 or toll free at 800-528-0665. You can also text/chat us by texting LUKE to 45555! (message and date rate may apply) See dealer for details or visit www.BillLuke.com to Experience the Bill Luke Difference for yourself! Billet Silver Metallic 2018 Jeep Wrangler Unlimited Sport 4WD 8-Speed Automatic 2.0L 4-Cylinder Turbocharged If you would like to inquire about this vehicle, please contact us at 602-249-1234 or toll free at 800-528-0665. See dealer for details or visit www.BillLuke.com to Experience the Bill Luke Difference for yourself! Black Clearcoat 2018 Jeep Wrangler Unlimited Sport S 4WD 8-Speed Automatic 3.6L 6-Cylinder ABS brakes, Compass, Electronic Stability Control, Low tire pressure warning, Traction control. If you would like to inquire about this vehicle, please contact us at 602-249-1234 or toll free at 800-528-0665. You can also text/chat us by texting LUKE to 45555! (message and date rate may apply) See dealer for details or visit www.BillLuke.com to Experience the Bill Luke Difference for yourself! Billet Silver Metallic 2018 Jeep Wrangler Unlimited Sport 4WD 8-Speed Automatic 2.0L 4-Cylinder Turbocharged If you would like to inquire about this vehicle, please contact us at 602-249-1234 or toll free at 800-528-0665. You can also text/chat us by texting LUKE to 45555! (message and date rate may apply) See dealer for details or visit www.BillLuke.com to Experience the Bill Luke Difference for yourself! Black Clearcoat 2018 Jeep Wrangler Unlimited Sport 4WD 8-Speed Automatic 2.0L 4-Cylinder Turbocharged If you would like to inquire about this vehicle, please contact us at 602-249-1234 or toll free at 800-528-0665. You can also text/chat us by texting LUKE to 45555! (message and date rate may apply) See dealer for details or visit www.BillLuke.com to Experience the Bill Luke Difference for yourself! Gray Clearcoat 2018 Jeep Wrangler Unlimited Sport 4WD 8-Speed Automatic 2.0L 4-Cylinder Turbocharged If you would like to inquire about this vehicle, please contact us at 602-249-1234 or toll free at 800-528-0665. See dealer for details or visit www.BillLuke.com to Experience the Bill Luke Difference for yourself! Bright White Clearcoat 2018 Jeep Wrangler Unlimited Sport 4WD 8-Speed Automatic 2.0L 4-Cylinder Turbocharged If you would like to inquire about this vehicle, please contact us at 602-249-1234 or toll free at 800-528-0665. You can also text/chat us by texting LUKE to 45555! (message and date rate may apply) See dealer for details or visit www.BillLuke.com to Experience the Bill Luke Difference for yourself! Black Clearcoat 2018 Jeep Wrangler Unlimited Sport S 4WD 8-Speed Automatic 3.6L 6-Cylinder ABS brakes, Compass, Electronic Stability Control, Low tire pressure warning, Traction control. If you would like to inquire about this vehicle, please contact us at 602-249-1234 or toll-free at 800-528-0665. See dealer for details or visit www.BillLuke.com to Experience the Bill Luke Difference for yourself! Black Clearcoat 2018 Jeep Wrangler Unlimited Sport 4WD 8-Speed Automatic 2.0L 4-Cylinder Turbocharged If you would like to inquire about this vehicle, please contact us at 602-249-1234 or toll-free at 800-528-0665. See dealer for details or visit www.BillLuke.com to Experience the Bill Luke Difference for yourself!